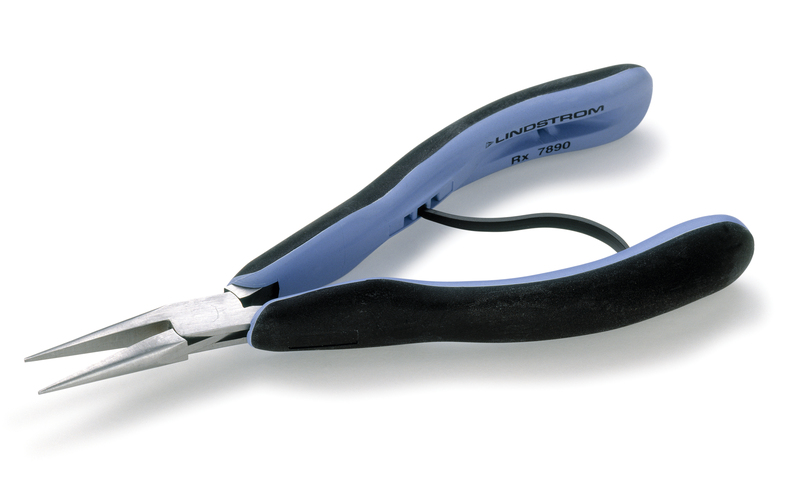 Lindstrom RX series represent the very best in cutters and pliers. The exclusive Micro-Touch™ handles makes possible complete hand control for precision work. Exclusive Biospring­® reduces spring tension during work which lessons fatigue. Tension and opening width can be adjusted to suit. The slightly rounded and wider profile of the RX handle allows for even surface distribution and superior hand contact. Overall length: 158.5mm (5.77"). Jaw length: 32.0mm (1.26"). Tip width: 0.8mm (.03").